Finding the perfect vehicle isn’t hard when it comes to a Volkswagen: there aren’t any bad options! The next step toward driving that new Volkswagen or used vehicle home in Miami is financing. The financing process can sometimes seem confusing, but the expert financing team at Palmetto57 Volkswagen will make it easy for you. In fact, Hialeah drivers can start the process right now be getting pre-approved online. Whether you’re looking to buy or lease, or you’re still deciding, our finance team will help you understand the details and benefits of each option in Pembroke Pines. Like the ability to drive as much as you’d like in Hollywood, or freedom to trade in or resell at any time when you buy a vehicle. Or the lower monthly payments, and option to upgrade to a newer vehicle every few years when you lease a new Volkswagen. Either way, we’ll work hard to find you the right loan or lease option for your budget and lifestyle in Aventura. And the process starts right now by completing your finance application online. Coral Gables drivers will find more security and confidence on the test drive knowing that financial pre-approval is already in place. 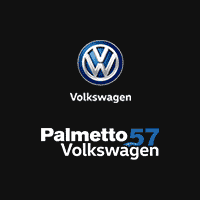 Start your finance application online, and come into Palmetto57 Volkswagen to find a great new Volkswagen or used vehicle! We’re excited to serve you, so get pre-approved today!